After I settled back down here in Seoul, one of the first things I did was to renew my Mapo English Literacy Center membership library card. 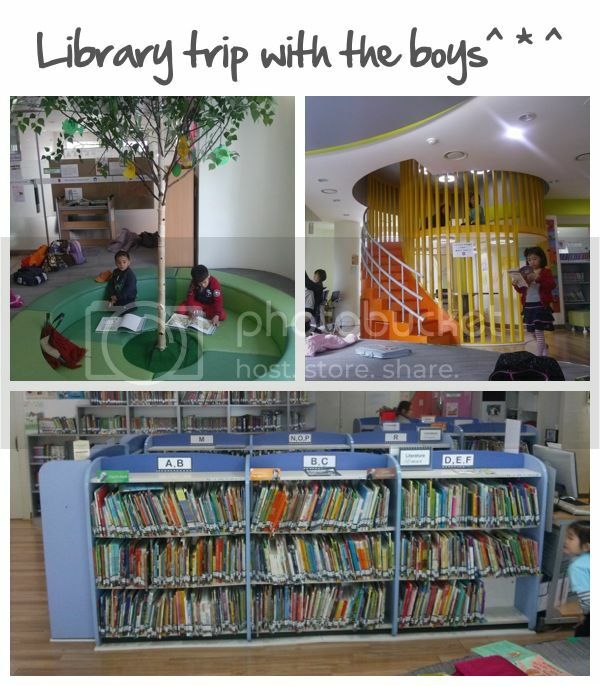 It’s for 30,000-won for a one-year membership and the member can borrow 4 books at a time for a two-week period free-of-charge. The only requirement for foreigners is the Alien Registration Card (ARC). I brought the kids to the library and they had a good time reading. It’s even more fun for Firstborn who can read by himself already. He is just one inquisitive boy that with each word he can’t comprehend he would immediately ask me with a loud voice… the other one wants me to read out loud for him, too. We didn’t stay for more than an hour… I didn’t wait for other Moms to have the guts to tell us to lower down our voices:-). It would be good to set aside a day for this trip each week. We hope to continue the habit while the boys are not back in school yet. A hidden gem in Mapo for expats and Koreans alike! I was so grateful for that library when I lived there!